Antennas up to 11 metres in diameter. Application requests to the relevant authorities. Links between teleports and customer sites. Satellite up-link for broadcast to multiple clients. Use of pre-installed antennas or via antennas which can be quickly deployed and aligned to additional satellites. Because of the geographical position of the teleports, satellite arc visibility encompasses 58°W to 72°E. Expertmedia offers a complete range of services enabling you to retain permanent access to and monitoring of your data. We also offer value-added managed services. 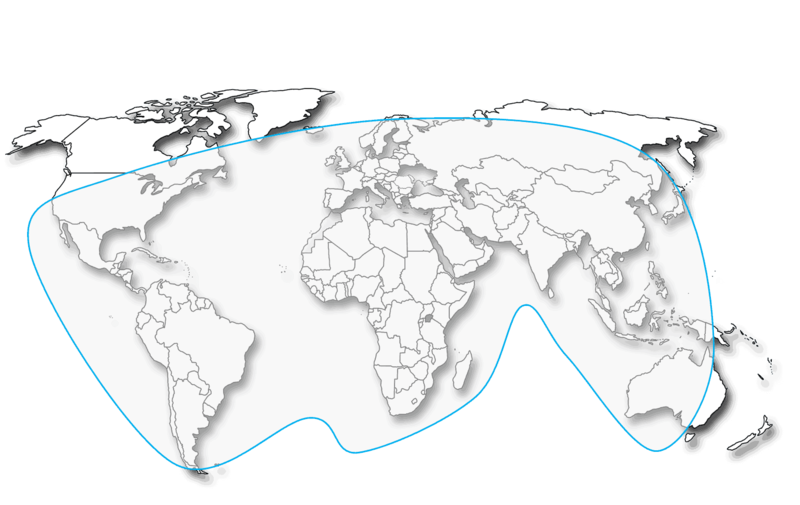 The geographical position of the Expertmedia teleports provides satellite arc visibility which encompasses 58°W to 72°E. Pre-installed antennas available for rapid deployment of Ku and C band bandwidth. Contact us on +33 (0)4 94 52 69 00 or click here. Created in 2003, Expertmedia is a member of the Sonema group and specialises in transmitting satellite signals. Expertmedia owns and operates 2 teleports in France at our Frejus and Lognes sites in addition to a Tier III datacentre. Expertmedia is a member of the World Teleport Association and holds a satellite operator licence.